Equestrian Team gathers spare change and other donations to help Hanaeleh Horse Rescue. During the most recent OCIEL shows in San Juan Capistrano, the Eagle Riders collected spare change to help out Hanaeleh Horse Rescue in Trabuco Canyon, amassing nearly $280 in donations! Earlier in the show season, the team went to Hanaeleh’s barn and helped with barn chores and got to know the rescued horses. 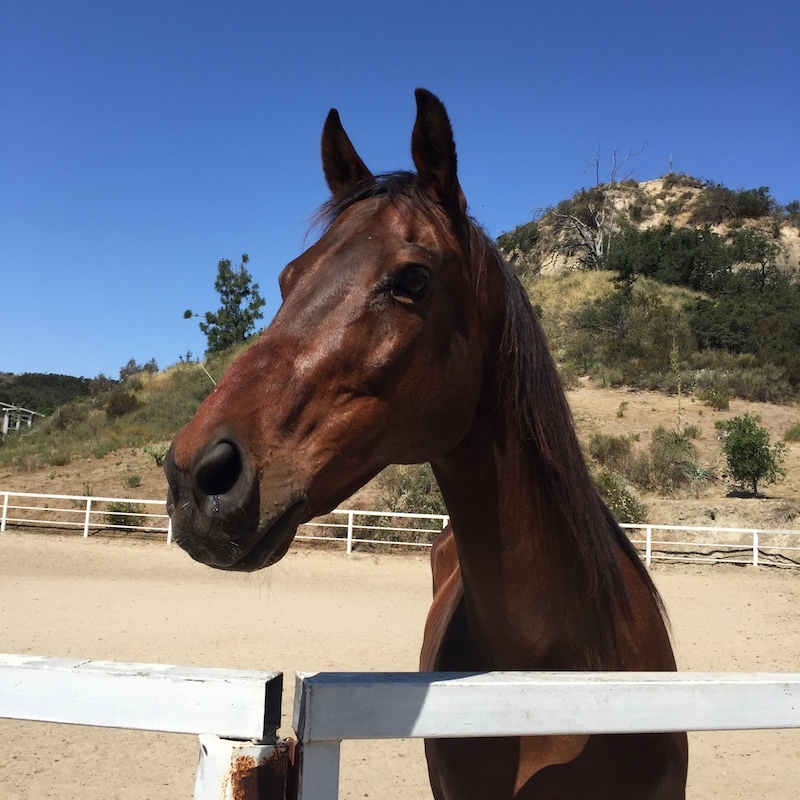 One horse in particular, Ulysses, is the team’s service project for the current season, and all of the monies collected are being used to help offset the costs of caring for this brain damaged and physically abused horse.